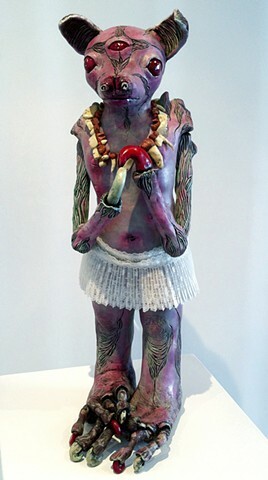 This sculpture was part of my solo show "Whisper of the Wild". These pieces were based on the idea of mythologies and how cultures compose stories. This girl is loosely based on the tooth fairy and how my imagined culture tells of her exploits.